The workshop Lisbon 2017 has come to its end and I want to thank you for your valuable contribution and presentation. 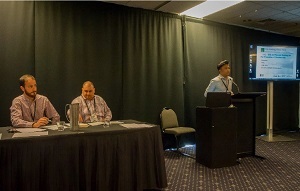 The workshop was very successful, with many delegates and presentations from all over the world. It was a pleasure meeting most of you, and I am so sorry with those I did not meet. Hoping to meet them in the next event. 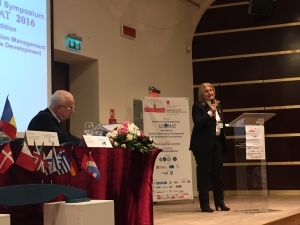 We had almost 50 participants and some of them were Young Surveyors, 3 keynote sessions, 7 technical sessions and more than 20 papers of high scientific level. 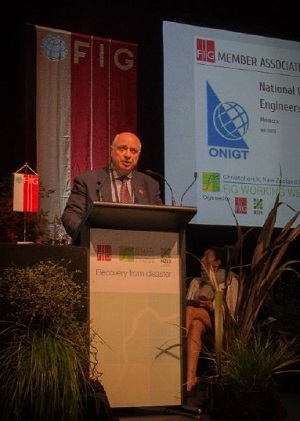 Please allow me to thank the Portuguese Engineers Association and in particular Maria Teresa Sà Pereira, Maria Joao Henriques, Francisco Madeira and all the staff who did their best to welcome us and organized the event with such efficiency and successful results. The proceedings of the event will be published soonest on the website. 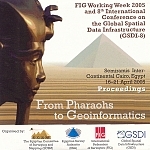 I have noted that most have not yet submitted the abstract for the next FIG WW and Congress in Istanbul. I ask you to contact me soonest on this so that you will not loose the possibility to give your contribution of ideas to an event of so high international and scientific importance. I am looking forward to meeting you in Istanbul for the FIG WW and Congress, in May 2018. 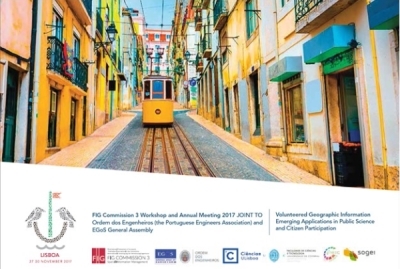 THe 2017 FIG Commission 3 Annual Meeting and Workshop with the overall theme "Volunteered Geographic Information: Emerging Applications in Public Science and Citizen Participation" was held 27-30 November 2017. The workshop will provide the opportunity for delegates and contributors to present their research and experience on development and use of Voluntary Geographic Information, Geographic Information System, Spatial Information Management, crowdsourcing and Spatial Data Information systems and procedures. The FIG Working Week 2017 is approaching and I would like to thank you all for your interest in FIG and particularly in Commission 3. I thank all the authors who wil present a paper during the WW. 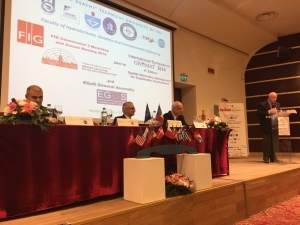 The great participation of the speakers has allowed, also this year, to have numerous technical sessions of professional and scientific interest in Spatial Information Management, VGI and Crowdsourcing, GIS and 3D Spatial Information. As usually happens during the Working Weeks, each Commission will held its Annual Meeting. It is my pleasure to invite you to our meeting that will take place on wednesday 31st May from 17.30 to 18.30. This meeting is a good occasion to update you with the last news, to exchange ideas and to inform you about the future plan of the Commission. We will have the opportunity to meet and be up-to-date on the work done by the working groups in listening the interesting reports directly from the working group chairs. We will choose the location for the workshop to bel held next November and discuss about the future organization of commission 3. Every new idea or proposal on your behalf is more than welcome to improve the activity of the Commission and this moment is the right time to have our discussion. After the meeting we can have a rest together in the evening in joining the Commission 3 dinner (restaurant to be decided) where you are more than welcome. Therefore dear delegates I really hope to meet you in Helsinki at the end of this month and if you are interested in having more information about the whole event please visit the website www.fig.net/fig2017 and/or do not hesitate to contact me. Thanks to the finansial support given by FIG Foundation, Commission 3 will offer international academic participants presenting a paper under the age of 35, in addition to a special registration fee, an financial contribution that will cover part of the expenses. 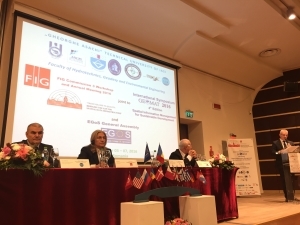 In addition, Romanian Geodetic Association will support about 15 young surveyors from Romania and Republic of Moldova not being supported by FIG and encourages participation for any academic members and students with special tariff and accommodation in Iasi student hostels if still available. We have the pleasure to invite you to participate in the High-level Athens Workshop in September 19 and 20, co-organized by FIG, the World Bank and the Technical Chamber of Greece. You are welcome to submit papers, too. The topic is: Sustainable Real Estate Markets-Policy Framework and Necessary Reforms". The Global Lead on Land Policy and Geospatial Issues of the WB, Mr Wael Zakout will give the main keynote speaker. The motto is: "For a world free of poverty, fear and inequality, where life is safe and growth is resilient and sustainable" The Workshop is supported by FIG Com 3, 7 and 9. It is also supported by FIABCI, EGoS, Eurobank Property Services and the National Bank of Greece. It will be held at the Old Stock Exchange Building of the National Bank of Greece, Pesmazoglou 1 st, in Athens. Please find attached more info about the topics and the updated important dates. 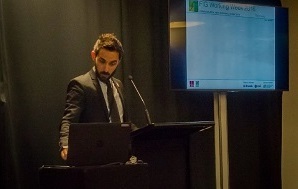 The workshop was jointly organised with FIG Commission 7. The event was a great success with more than 80 attendees from all over the world. The three days event program offered 6 technical sessions, 5 joint sessions, more than 20 authors and 2 keynote speakers. 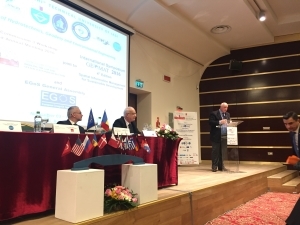 The meeting is organised by FIG Commission 3 and 7 in cooperation with Malta Institution of Surveyors. 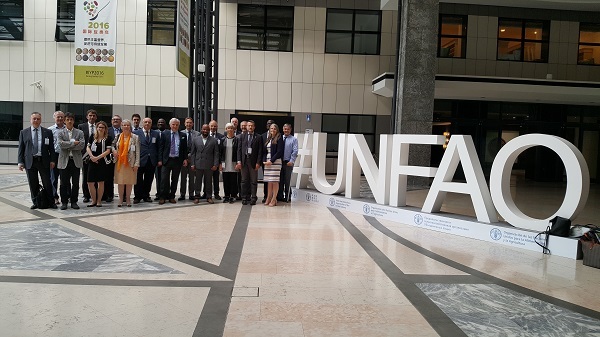 Mr. Enrico Rispoli, Chair of commission 3 making his report to the General Assembly Commission 3 had its annual meeting during the FIG Working Week 2015 in Sofia, Bulgaria, 17-21 May 2015. Yerach Doytsher, Chair Chair of Commission 3 making his report to the General Assembly. Commission 3 had its annual meeting during the FIG Working Week 2013 in Abuja, Nigeria, 6-10 May 2013.
International Scientific Conference on "Spatial Data Infrastructures & Spatial Information Management 2013" and FIG Commission 3 Annual Meeting. 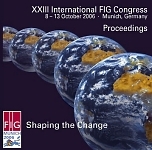 The Annual FIG Commission 3 workshop/conference, jointly with the 2012 WPLA workshop. Call for paper is now announced. 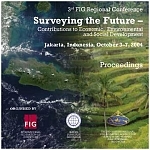 (abstracts submission deadline is 15 June 2012). 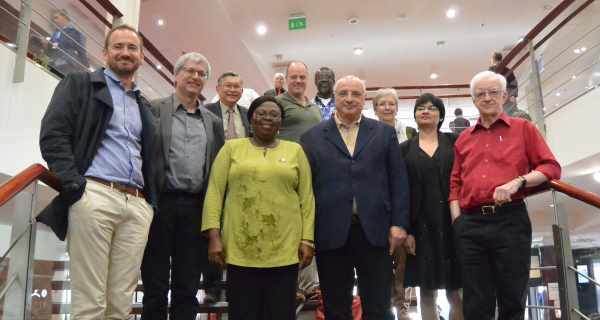 Commission 3 had its annual meeting during the FIG Working Week 2012 in Rome, Italy, 6-10 May 2012. The General Assembly appointed Mr. Enrico Rispoli from Italy as the Chair Elect of Commission 3 for 2013-2014. Commission 3 had its Commission meeting during the FIG Congress 2010 in Sydney, Australia, 11-16 April 2010. 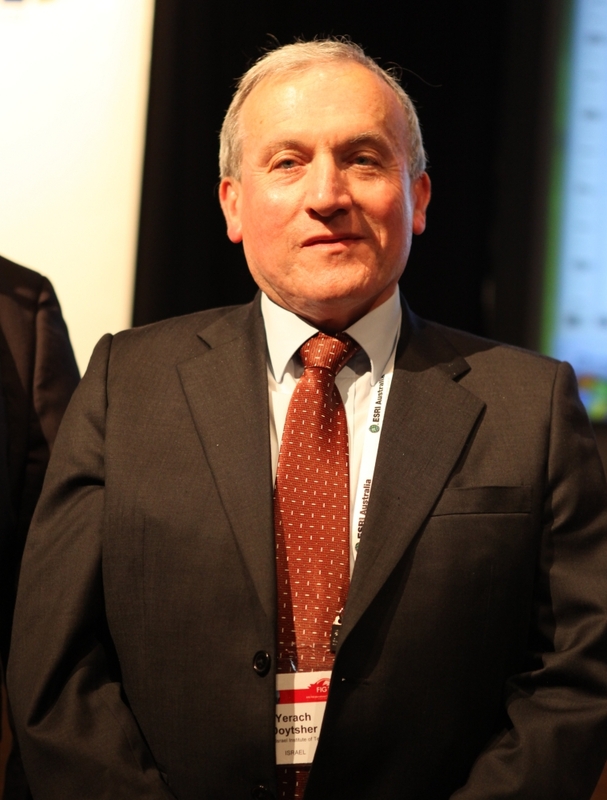 The General Assembly appointed Prof. Yerach Doytsher from Israel as the Chair of Commission 3 for 2011-2014. 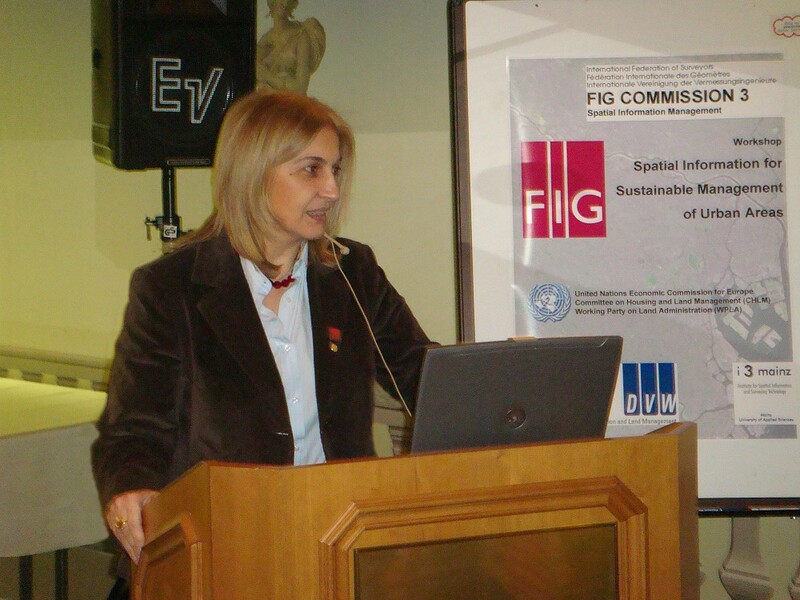 The Joint FIG Commission 3 and 7 Workshop and 2010 Annual Meeting of Commission 3 took place in Sofia, on the 15-17 of November. 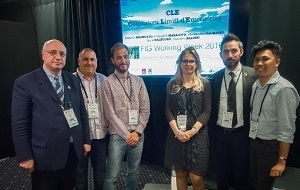 The Workshop was organized by FIG Commissions 3 and 7 and the Chamber of Graduated Surveyors of Bulgaria. The meeting was the 4th Workshop of FIG Commission 3 in the four-year term of office 2007-2010. Commission 3 Annual Report for the General Assembly as a .pdf-file. Minutes of Commission 3 Meeting, Sunday, October 9th, 2006.
International Congress Centre Munich, Room Nr. 12a. The General Assembly elected in its second session (Thursday, 27 May 2004) Chryssy Potsiou as Chair of Commission 3 for the period 2006-2010. (More details in the minutes of the GA). Commission 3 congratulates Chryssy to her success.